When it comes to low-to-mid-range smartphones, there are a lot of choices, and it seems like there is always a new model coming out. That’s what we have here with the Alcatel One Touch Fierce, which is available from T-Mobile for $164 full retail, or $20 down and $6 per month for 2 years under their Simple Choice Plan. 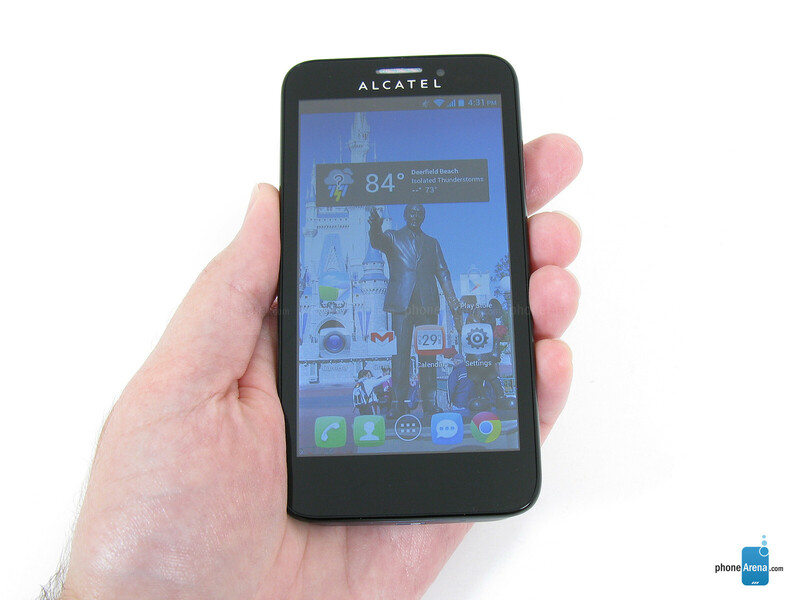 This places it at an affordable price for a quad-core smartphone with a 4.5” display. Alcatel also offers the One Touch Evolve at only $100 full retail, though its specs aren’t as good as the One Touch Fierce we have here. 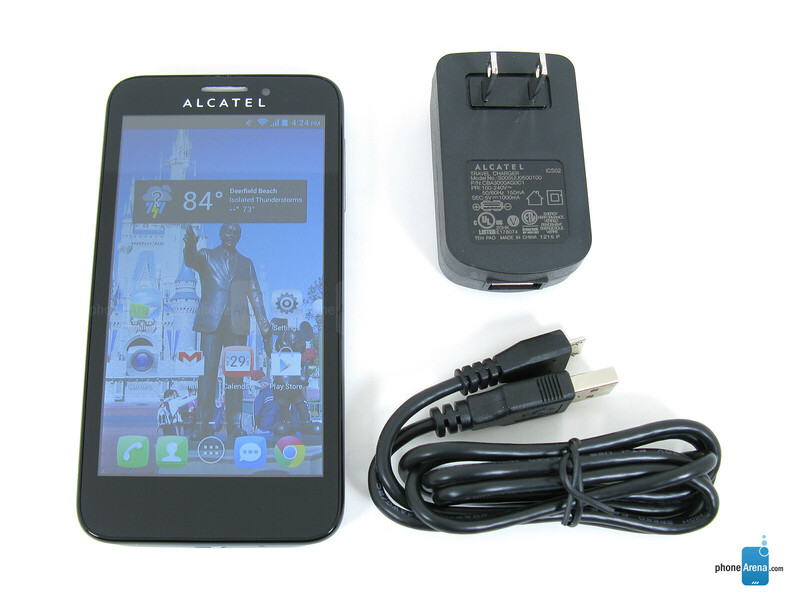 Included in the retail package is the Alcatel One Touch Fierce smartphone with an 1800mAh internal battery, wall charger with microUSB cable, and user guides. 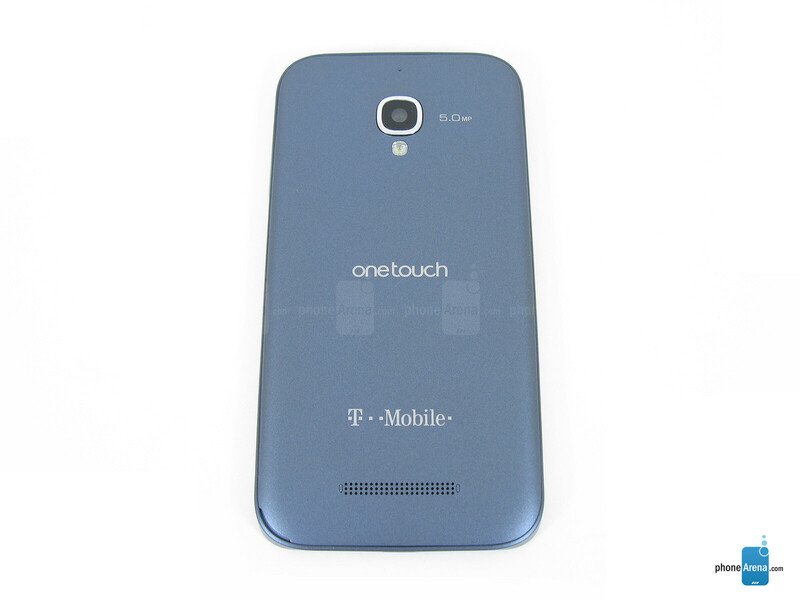 The overall design and feel of the Alcatel One Touch Fierce is pleasing, as it fits comfortably in the hand – not too big or too small – with a weight of only 4.59oz, and the soft-touch coating on the rear battery cover provides a nice textured grip. Even though it’s made from plastic throughout, it seems well constructed and should hold up to normal daily usage. Above the display is a standard VGA camera (0.3MP) that can be used of self-pics or video chatting, and under the display are three capacitive buttons for back, home, and recent apps. Missing is the separate “settings” button, this is done by long-pressing recent apps button. We would have preferred having a fourth capacitive button. Up on top is a 3.5mm headset jack with the power/lock key, and on the right side is the volume rocker, though it feels a bit flat and hard to distinguish from the surrounding plastic. 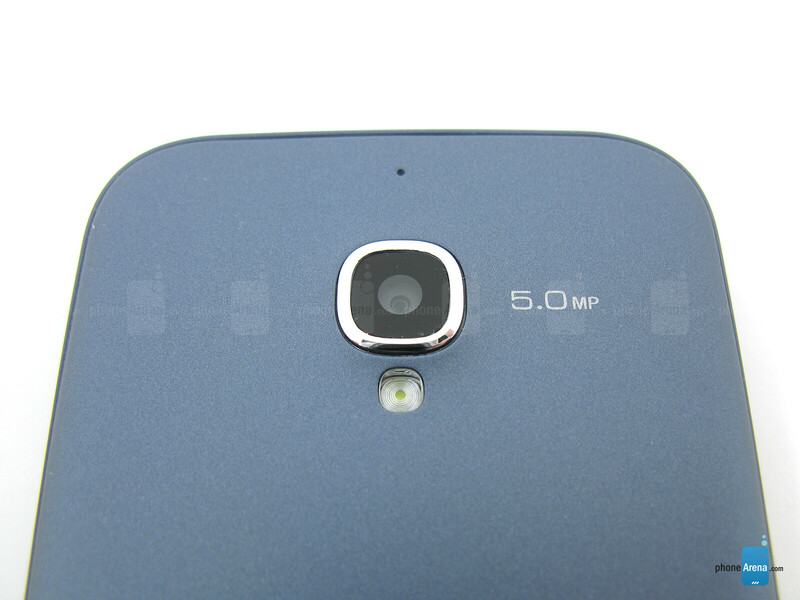 Around on the bottom is the microUSB port, and on the rear is the 5MP camera with LED flash. Removing the rear cover will allow access to the SIM card slot and microSD memory card slot. Even though you can see the battery, it is “built-in” and is not removable by the user, which means you don’t have the option of having a spare battery to use. 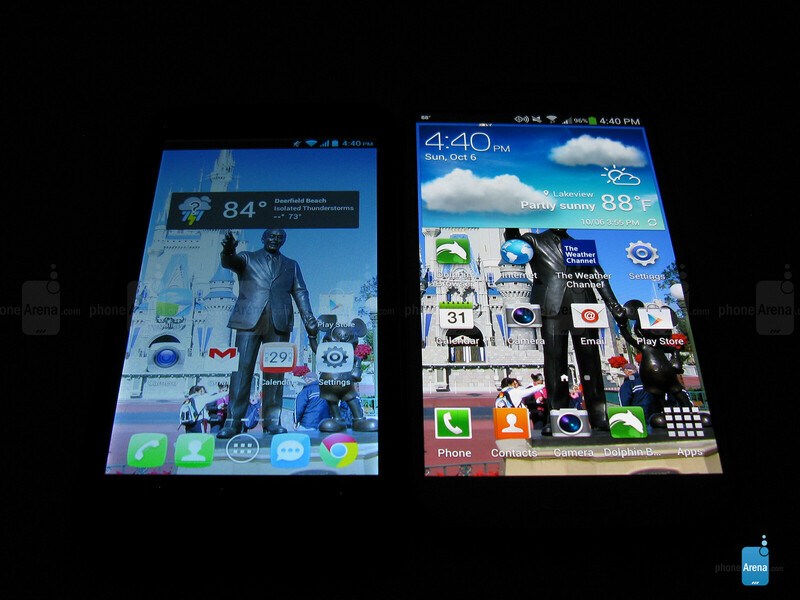 Our first main complaint about the Alcatel One Touch Fierce is with the LCD display quality, or lack thereof. 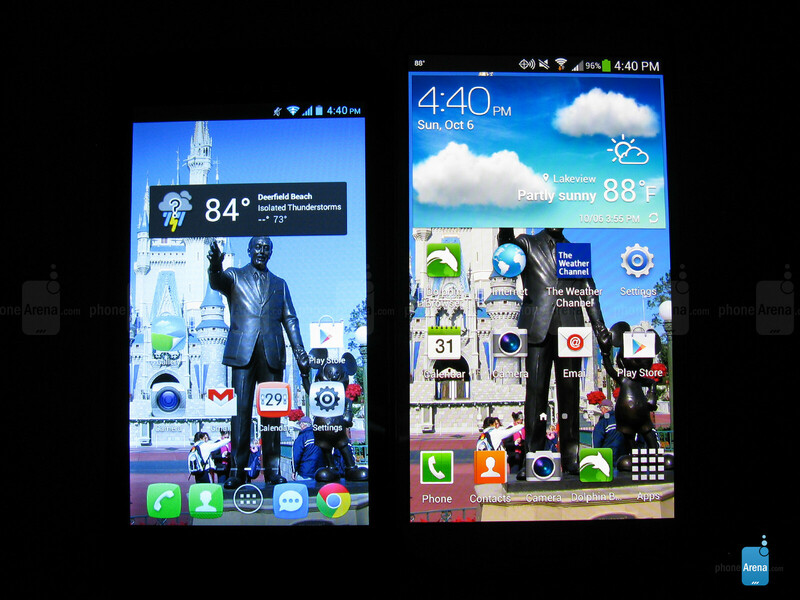 Even though it comes in at a nice 4.5” size, it has modest resolution - 540x960 pixels (qHD) resulting in 245 ppi. It's main problem is the image quality though - colors are blue-shifted, which gives the screen an unnatural blue tone to it; making it unpleasant to look at. Furthermore, you have to look at the display head-on, as viewing from even the slightest angle will cause the brightness and contrast greatly diminish. Outdoor visibility is also an issue, as even with the brightness manually turned all the way up, the display was still difficult to see in sunlight. 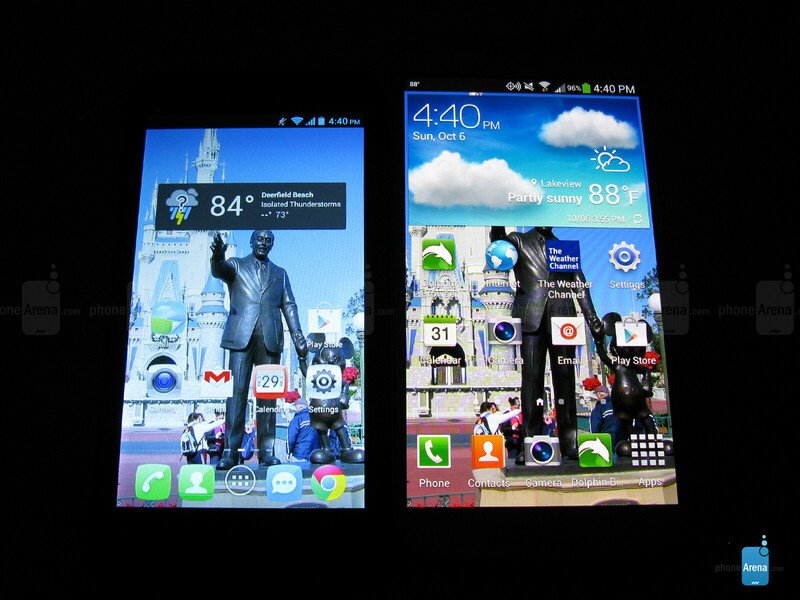 I have no iinterest in this phone, but I gotta ask...WTF is up with the Vellamo Metal score? Sorry about that, it has been corrected.